The $29.99 USD alpha will give you access to the game's alpha (expected to begin in mid 2018); you'll also be included in the beta and receive a download for the full version on release; this also includes the digital artbook & soundtrack as well. The $14.99 USD beta will give you access to the game's beta (expected to begin in early 2019); you'll also receive a download for the full version on release; this also includes the digital artbook & soundtrack as well. The $4.99 USD launch version will give you a download for your choice of platforms (macOS, Windows, Linux) at the time of full release — this is expected to be sometime in 2019; the $6.99 USD version is a "complete" bundle that includes a downloadable copy of the game at launch as well as the digital artbook and soundtrack. Your purchase includes cross-platform downloads of the game on three operating systems (macOS — 64-bit; Windows (XP not supported) — 32-bit & 64-bit; Linux — 32-bit & 64-bit) in a single download. Each purchase includes an immediate download of the latest demo build. Buying into the alpha or beta will also give you immediate access to those versions when the respective testing period begins. Essentially, if you want to get involved early & help test and shape the direction of development, the alpha or beta tiers will allow you to do so. These pricing tiers reflect the pledges available through the May 2017 Kickstarter campaign so they're a great opportunity to get involved with the game if you missed out during the crowdfunding period — or pre-order the full version when it's released and help support Alcyone's development now. Check out the free demo below before you decide to purchase & get in touch if you have any feedback, issues, or questions. Thanks tons for your support! 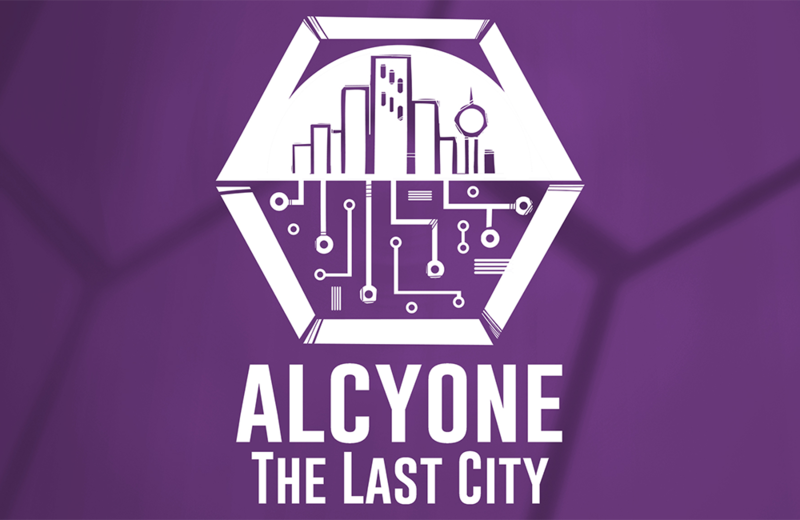 Alcyone has been inspired by narrative-heavy video games like Killing Time At Lightspeed (Gritfish) & Fallen London (Failbetter Games, who have also graciously provided Alcyone their blessing), as well as sci-fi space operas like Revelation Space by Alastair Reynolds and Pandora's Star by Peter F. Hamilton. It includes gorgeous hand-painted digital artwork by Peak Distapan and a full-length soundtrack composed by Michał Korniewicz. After an awesomely successful Kickstarter campaign concluding in May 2017, Alcyone was fully funded and will also feature the work of an all-star team of special guest writers including: Jennifer Scheurle (Objects in Space, Philosophy of Ten); Dang Duy Minh Nguyen (The Lotus Throne); Snow McNally (Little Witch Story); Anna Irwin-Schutze (Yonder: The Cloud Catcher Chronicles); John Kane (Killing Time at Lightspeed); David Gaider (lead writer & world designer of the Dragon Age series); & Alexis Kennedy (founder & creative director of Failbetter Games, Fallen London & Sunless Sea, and Cultist Simulator). Accessibility features include a high contrast, colour-blindness aware palette, labelled art elements, "dyslexic-friendly" fonts, compatibility with screen reader systems like VoiceOver, and an interactive tutorial system. Alcyone is in active development with a planned release in 2019. More information can be found at alcyonegame.com or on the Kickstarter page. There is a name for your creation's genre already.